Fintan Whelan - Visual Artist - fintan-whelan-art's JimdoPage! Fintan Whelan's method of painting is characterised by an immediacy of process and an urgency of vision, which he has been developing over several years. 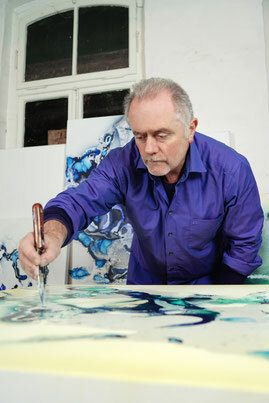 Despite the appearance of serendipity, Whelan's technique involves constant assessment, measurement and exploration of pigments and their configurations, combined with varnishes, oils and a variety of materials. The challenge that Whelan's art constitutes his motivation - that is to create resonances between or among the senses by exploiting the ever-changing detail of light and texture. His abstracts are worlds eliciting a multitude of emotional and intellectual responses that we, as viewers, must resolve. Fintan Whelan was born in Dublin and has spent his adult life in Ireland, Spain and Germany (his current home). 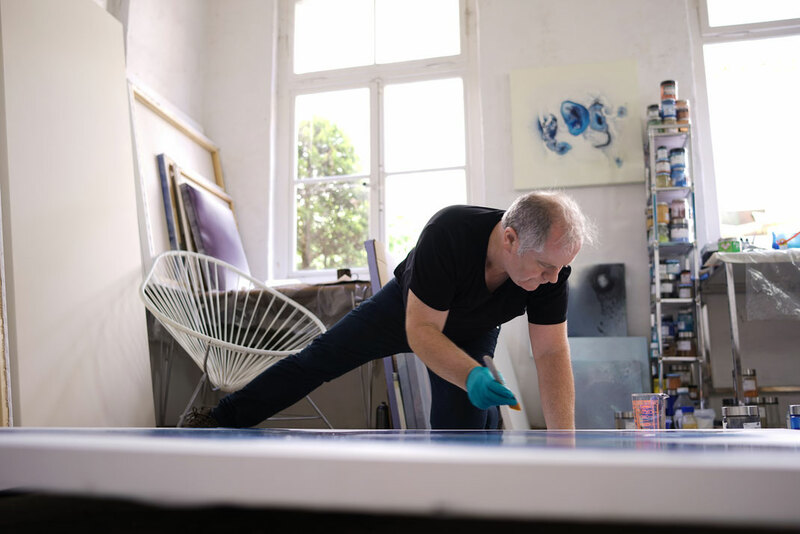 His work has been exhibited and acquired by numerous collectors across North America, Europe and Australia, and featured in prominent residential projects in UK and USA. Artist in residence at Chelsea Harbour Design Centre (London) and member of BBK (Federal Association of German Fine Artists).